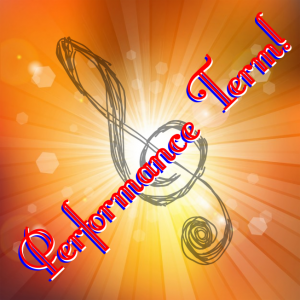 We are so excited to be entering our ‘Performance’ term with all choirs having performances in this Summer term. 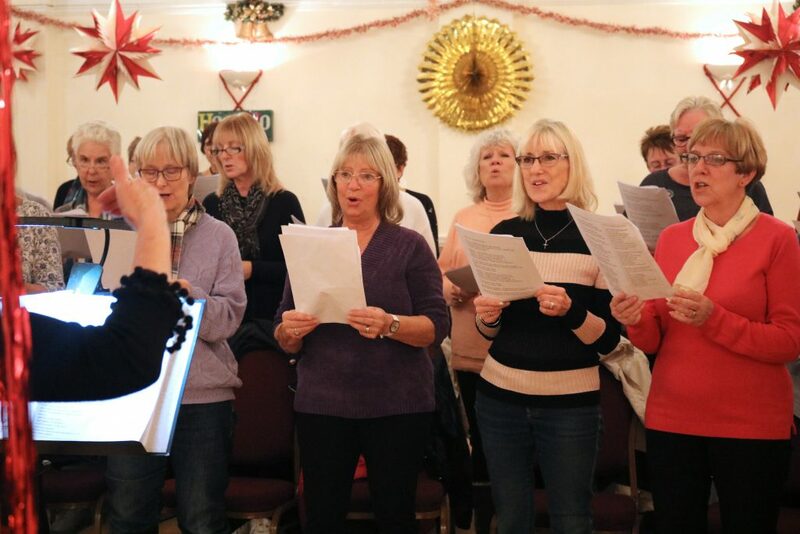 Each choir will give a showcase performance of their Spring/Summer Repertoire and at the same time, raise money for charity with a raffle. Having each chosen their own charity to support, choir members are now hard at work gathering prizes! Do come along and support each other at these performances. 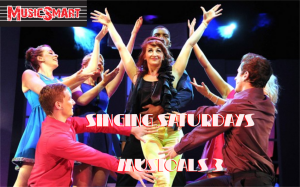 We also have our ‘Singing Saturdays’ to which you can look forward. We will be choosing a fantastic selection of music for you! Check out the calendar for all the details. June and July will feature more performances, keep an eye out and we hope to see you there! Enjoy the sunshine that these days seem to be bringing! 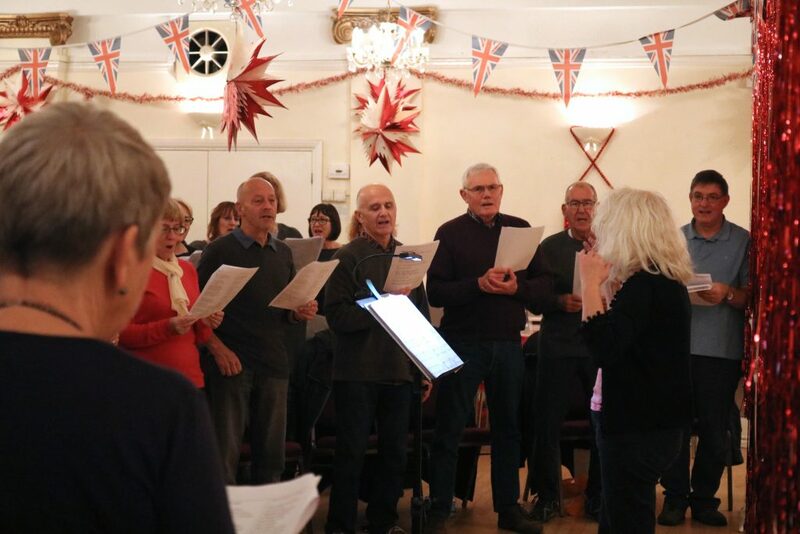 We are very excited to announce that we have a new choir starting on Thursday 25th April at St Ninian’s Church Hall in Pagham. 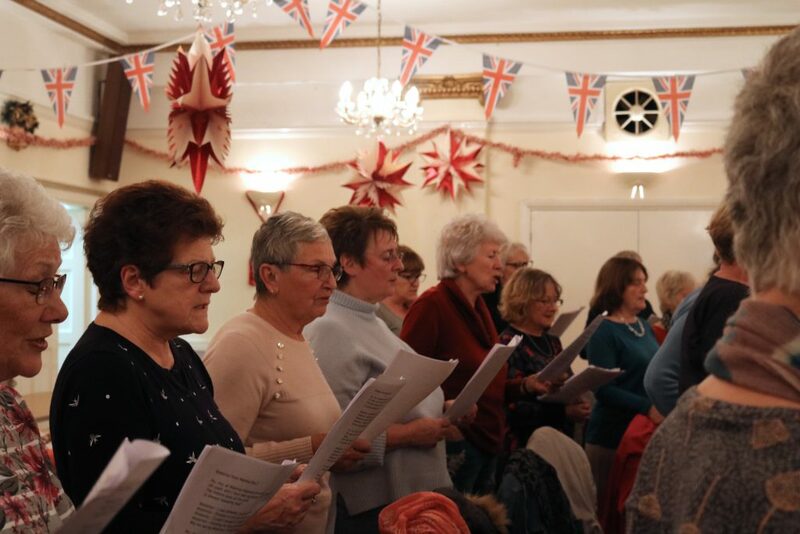 The choir will run from 1.00-2.15 at a cost of £5.00 to include a cup of tea/coffee and a biscuit. As with all our choirs, the first session will be free, so come and join us and tell your friends! 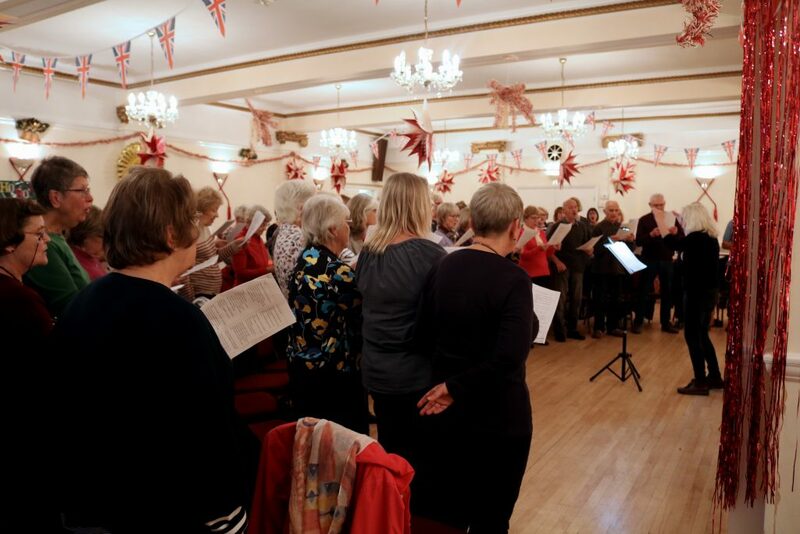 For more information about any of our choirs, please do visit our choirs page! Looking forward to seeing you all soon for more fun singing! 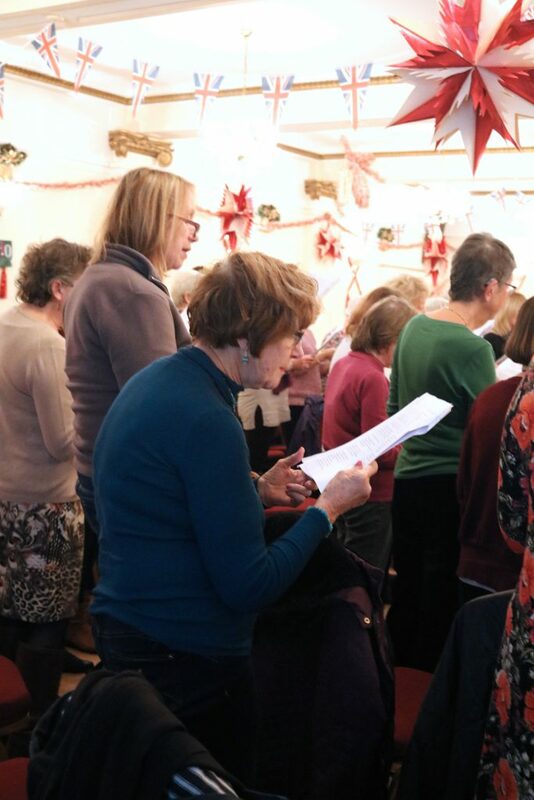 We meet a LOT of people, young, older…older still… be they choir members, new faces at workshops, in schools, at weddings…you name it, there’s always a new face (and we love meeting all of you!). 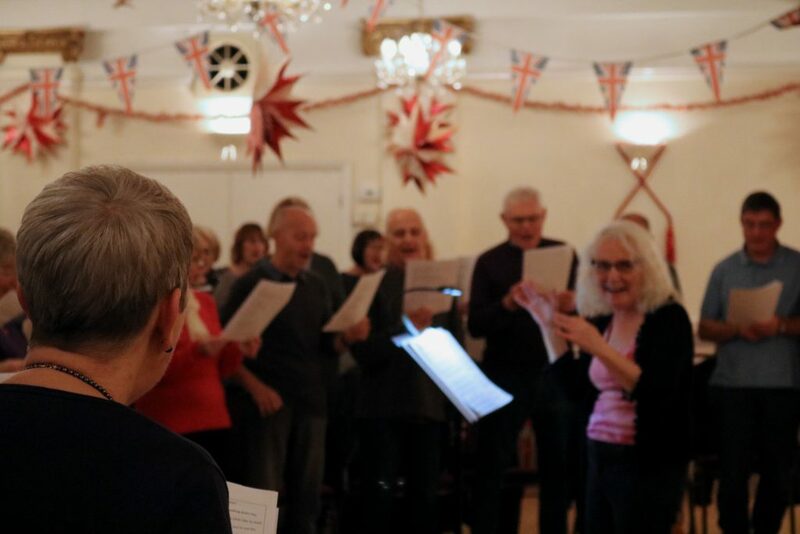 Something very special happened at our first Singing Saturdays event of the year, it was really uplifting to see. One of our Choir Members, Angela, was accompanied by her daughter AND granddaughter, to sing with us on Saturday March 9th. Three Generations, joined by a love of singing, and enjoying it together with us! What a special moment for them and for MusicSmart. 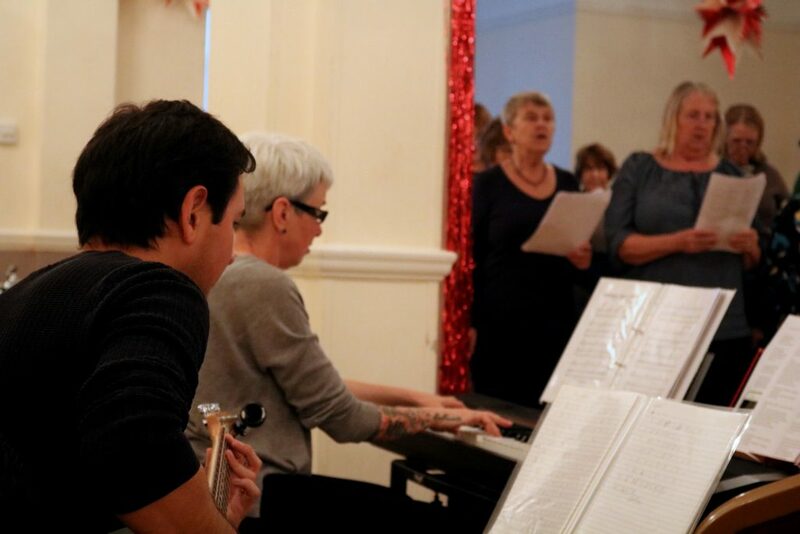 Another wonderful day of singing under the expert tutelage of Hilary & Paula! My name is Angela. 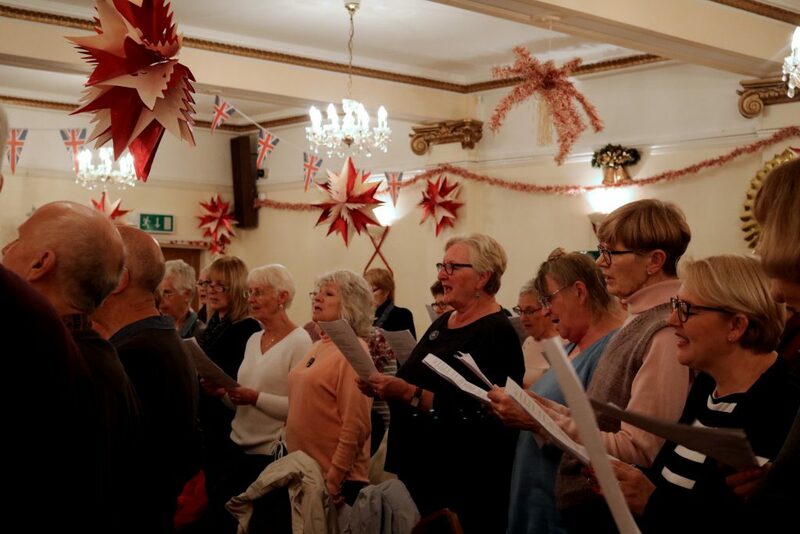 I always loved to sing and have been a member of the Felpham Community Singers from the start. 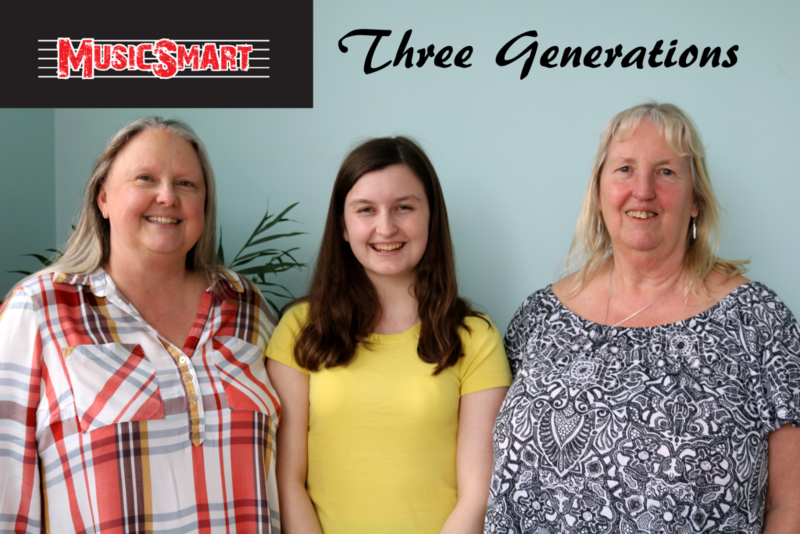 My whole family is keen on musicals and as the latest ‘Singing Saturday’ coincided with my granddaughter (Rachel) being home from university for the weekend, she and my daughter (Kate) joined me for a ‘3 generations’ singing experience. We all thoroughly enjoyed the day, ending with a rousing rendition of Aquarius with Hilary and Paula leading in their own inimitable style. We all appreciate your style and enthusiasm and can’t wait for the next event. Keep up the good work. 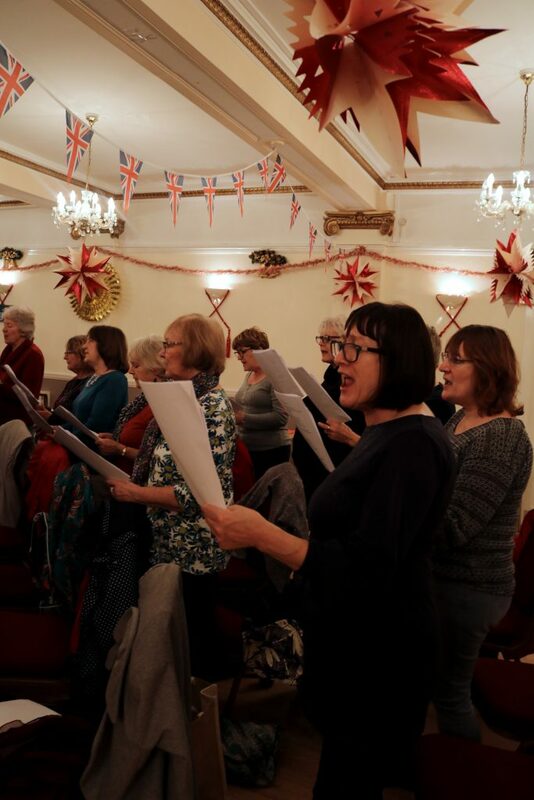 First Singing Saturdays of 2019! We’re in March already, can you believe it? It’s been full steam ahead for us here at MusicSmart. 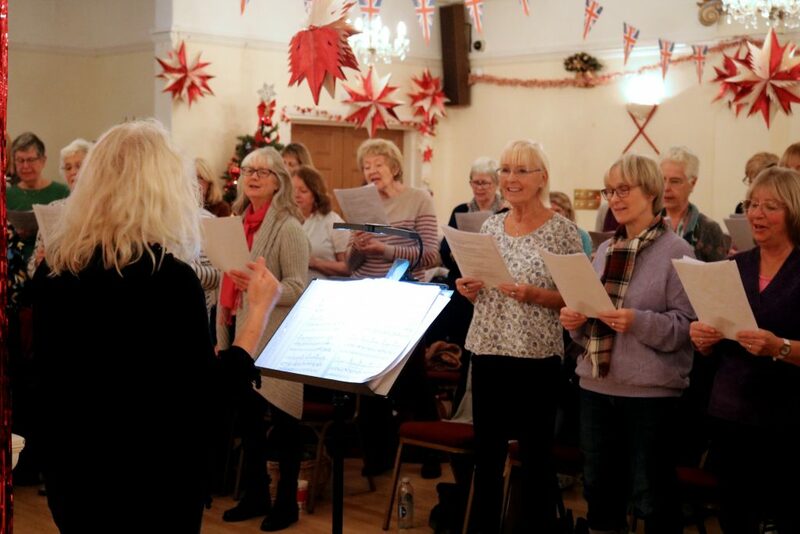 Our choirs are back up and singing, after the Christmas break, we’ve run health and wellness workshops on the benefits of singing and choir singing in particular, We’re starting up new choirs ( keep your eyes peeled on our choirs pages for more about that!) 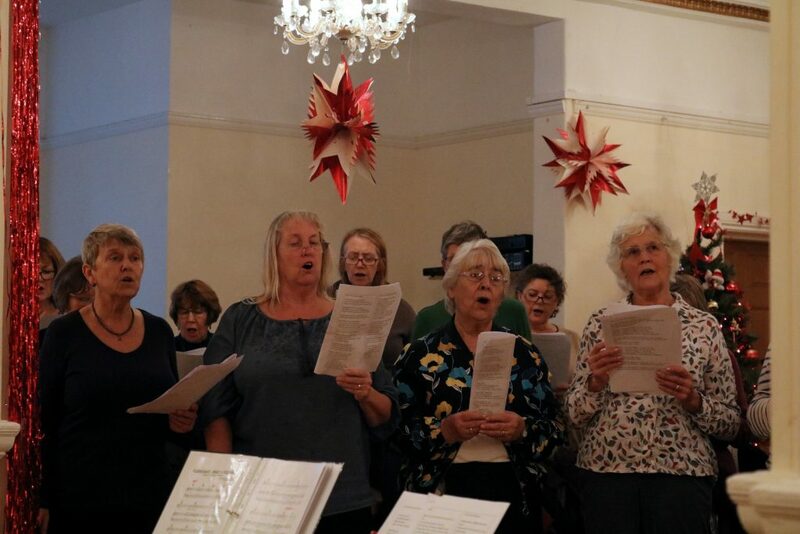 and we have run two very successful Singing Saturdays!! 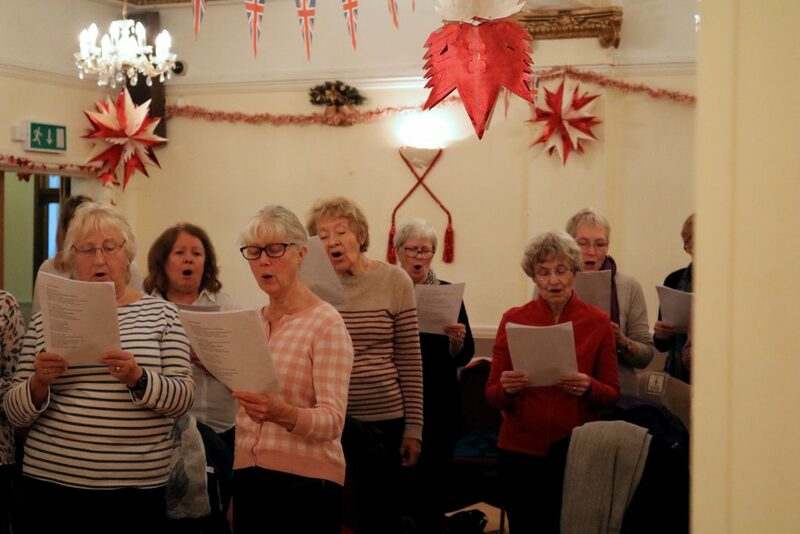 We’ve tried something new with our Singing Saturdays and so far they have been really successful. Instead of one date for a particular theme or genre, we’ve run two dates. 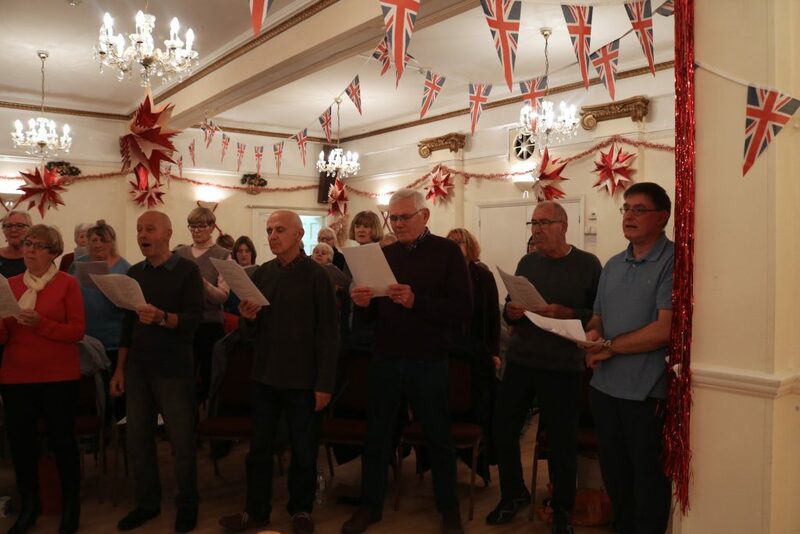 March 9th was our very first Singing Saturday of 2019, and with Musicals as our theme, we welcomed a full-house of singers, some from our choirs and some new faces…all happy faces! 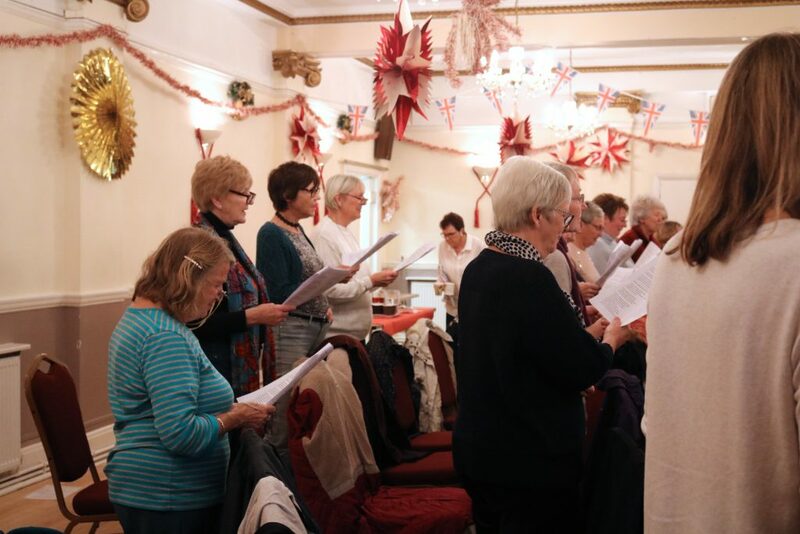 March 16th was the second of our Musicals themed Singing Saturdays, the same songs as before. It too was fantastic. Many laughs throughout the day, as well as squeals of delight as we clapped our hands and stamped our feet to “Flash Bang Wallop”. What fun!! More photos were taken and you can see them in the gallery below. 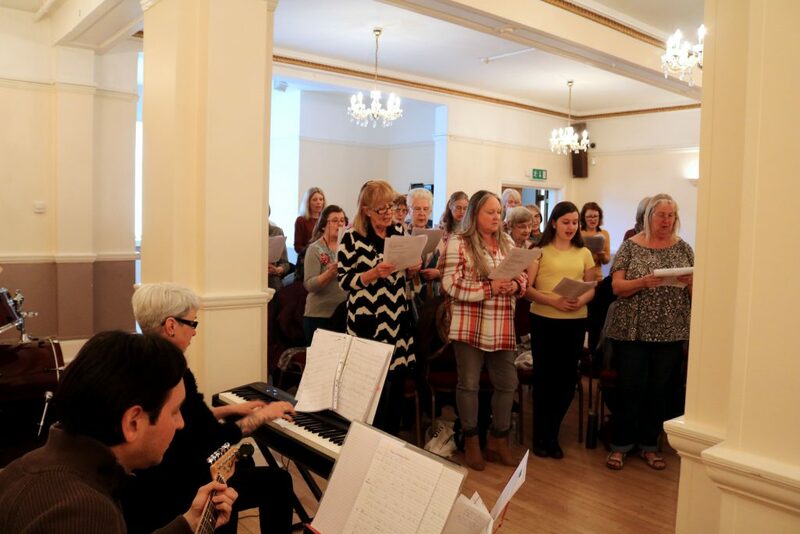 We hope to see you all again at our upcoming singing days, we’ll add details and bookings to our calendar soon, keep checking! 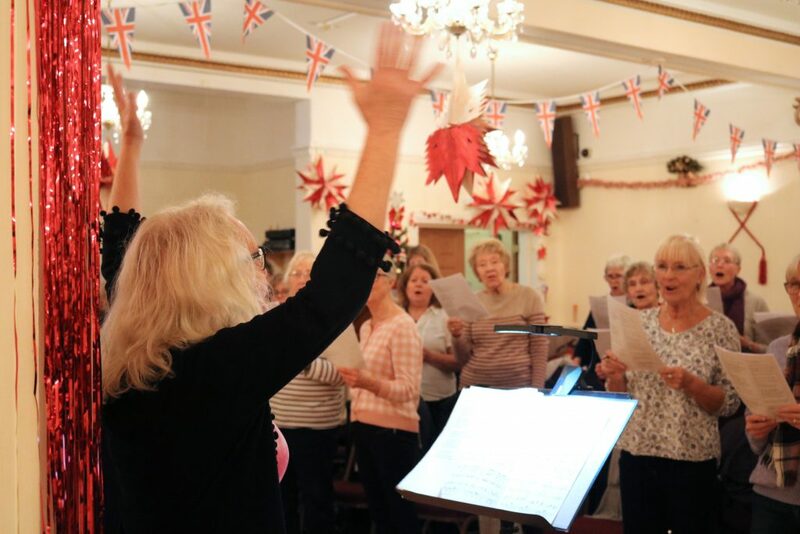 Benefits of Singing and the joy of joining a choir. We will begin from 14:00, though the day’s activities are from 10:30 – 15:30. 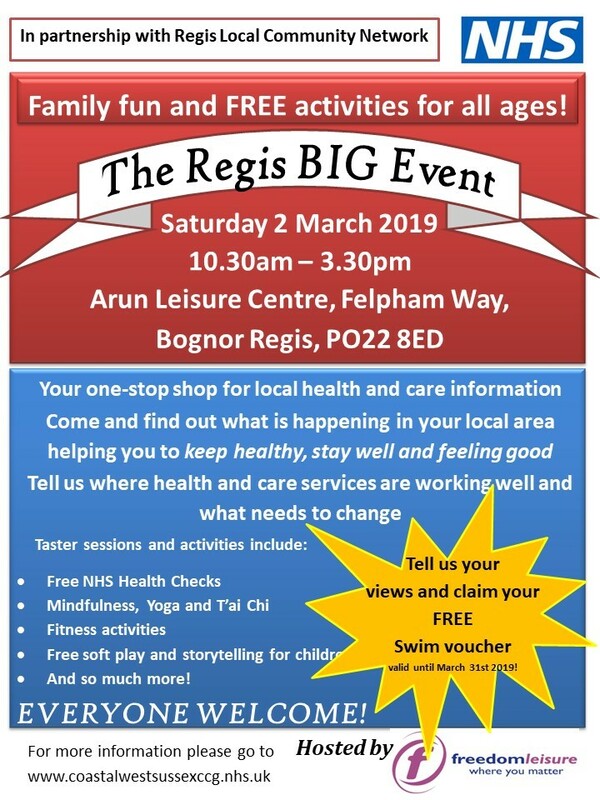 We are very excited to announce a change of venue for Just Sing Bognor!! 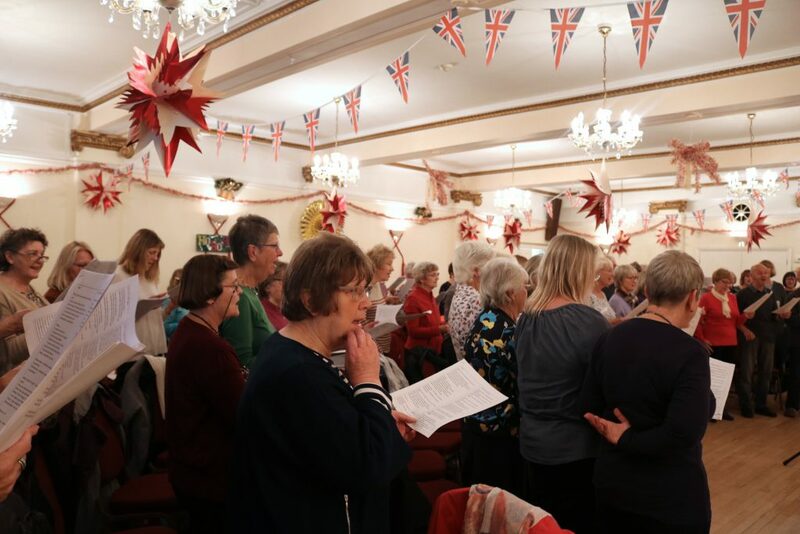 We are looking forward to being able continue the growth of the choir. The space is bigger and has a stage for future performances.There are also smaller adjacent rooms that offer the opportunity for sectional rehearsals. There is parking for about 40 cars at the back of the centre. 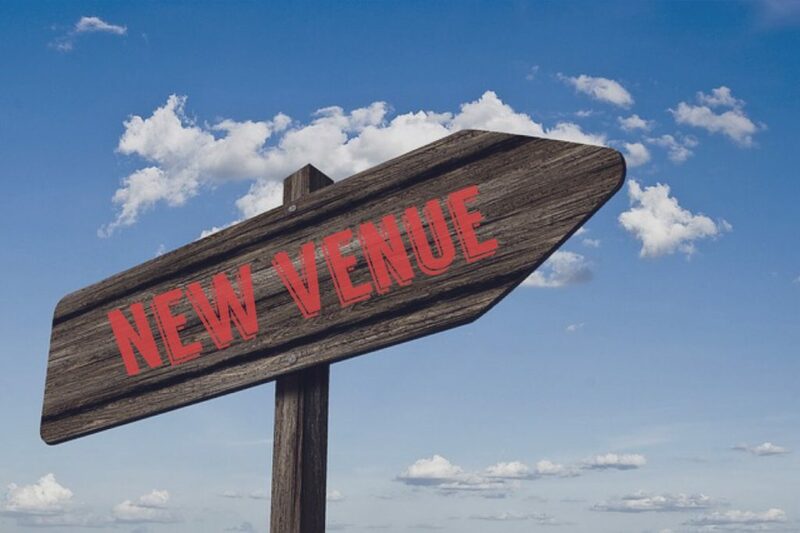 Our new venue is The Jeneses Arts Centre, 45 Linden Road, Bognor Regis PO21 2AP, here is a link to a map so that you can find your way easily. On arrival, please enter by the blue door half way down the side of the building and not the front doors. 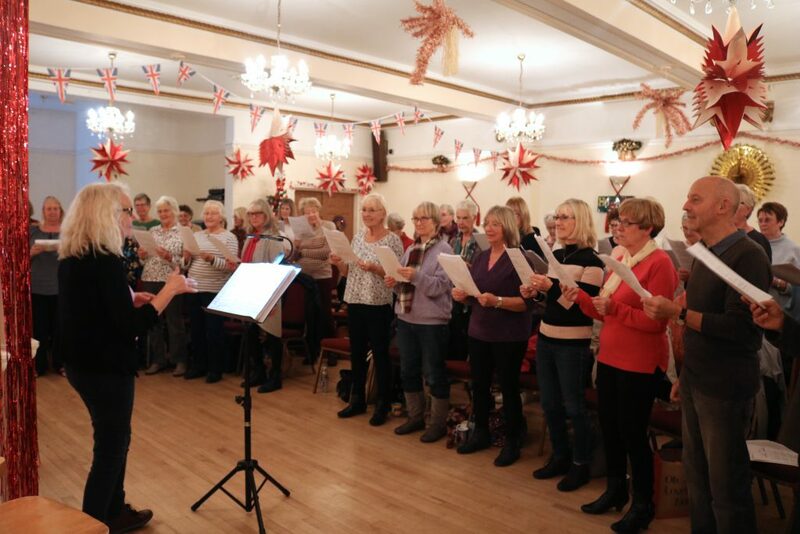 We look forward to seeing you there on February 8th and our final rehearsal at St Wilfrid’s Hall on February 1st. 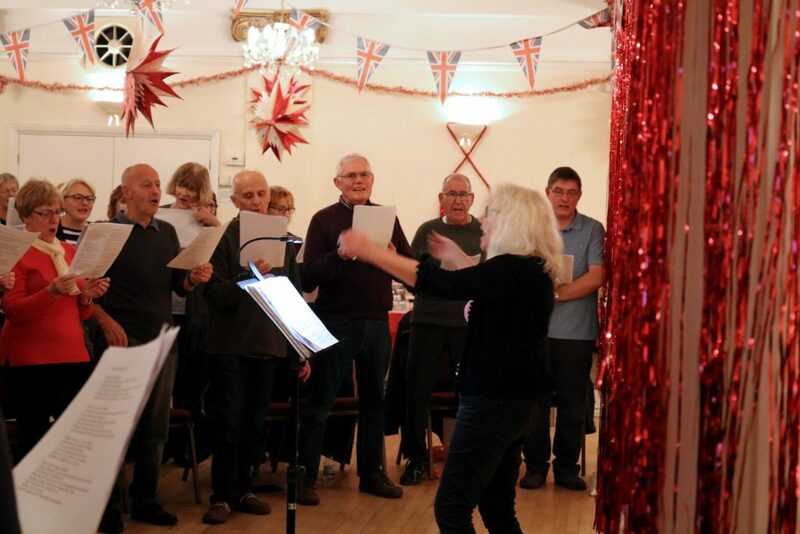 Singing Saturdays 2019…something a bit different. It’s a new year and what does that mean?? 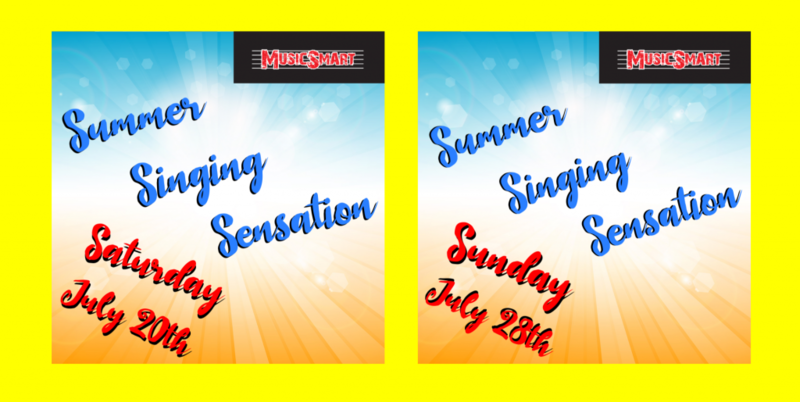 A fresh season of MusicSmart Singing Saturdays!! 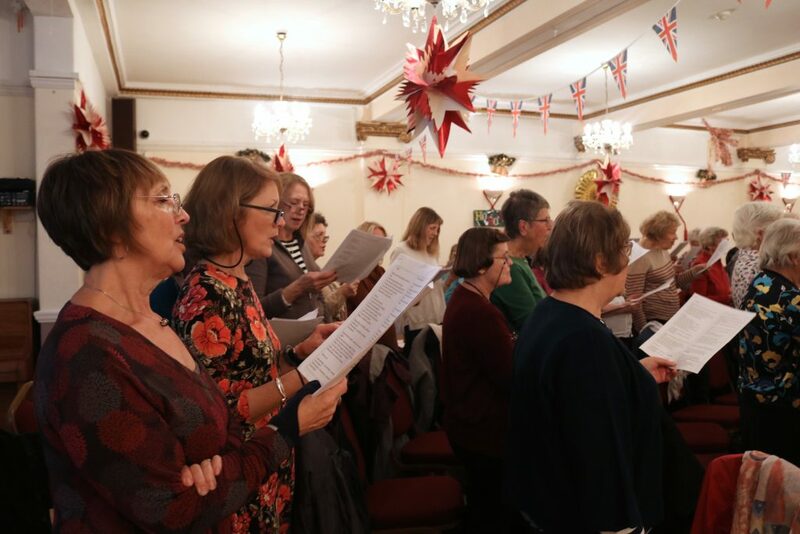 At some past events, we have had waiting lists and some of our singers have been disappointed at not being able to attend…so, after putting our heads together we’ve decided to double up on the number of these super fun singing days! How’s that for good news for you all to start off 2019! 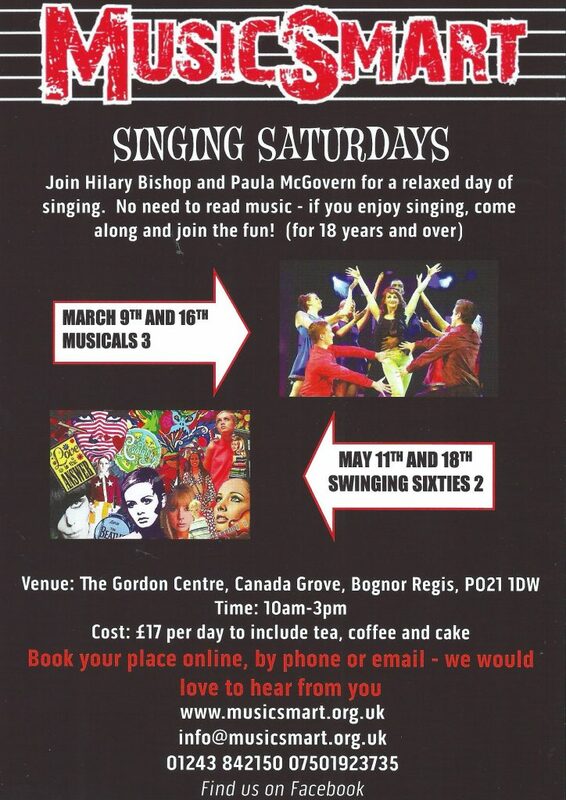 To start the year, we’re having two dates for “Musicals 3” as well as two days for “Sixties”. 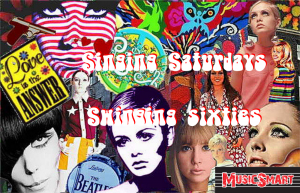 Date 1 and date 2 for Musicals will be the same as one another, so that nobody misses out, date 1 and date 2 for the Swinging Sixties will be the same as one another. When booking your place, please be sure you select the correct date for your event, we’d hate for you to be disappointed if your booking is for a date you cannot attend. We cannot wait, the songs we have selected are going to be so much fun. 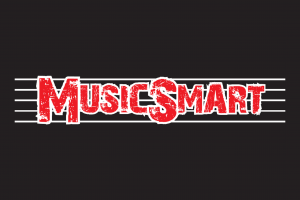 Please add our info@musicsmart.org address to your email address book so that our confirmation messages are not sent to your junk/spam folders. If you have already already booked and have not received your confirmation mail, please do check these folders. 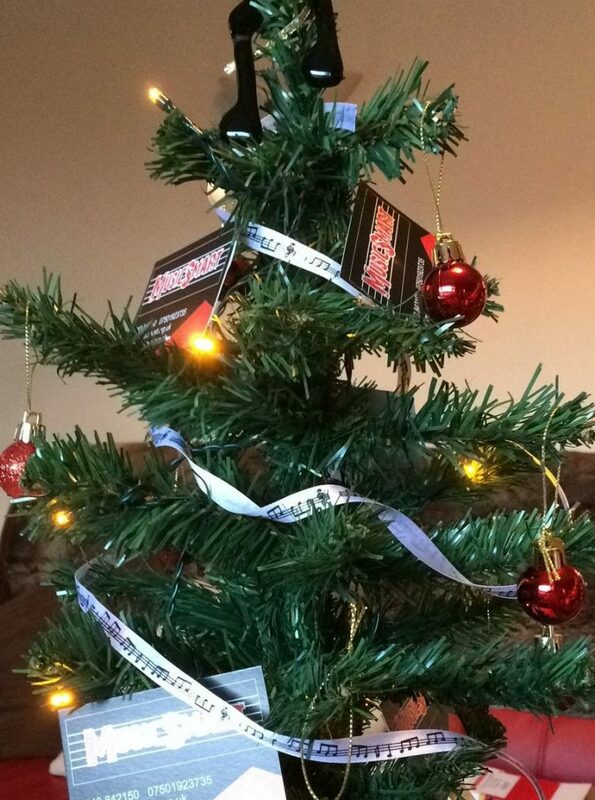 Wishing all our singers a VERY Merry Christmas! 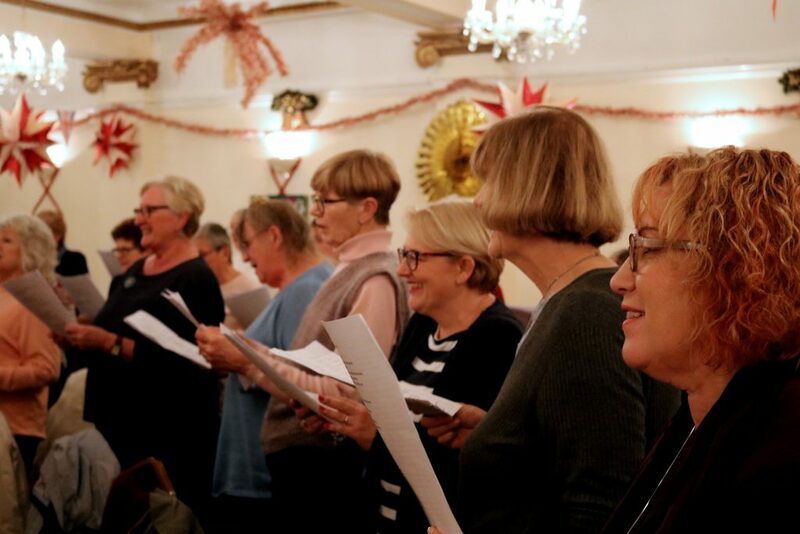 Thank you all for a great year of wonderful singing and we are already planning more concerts and fun for 2019! 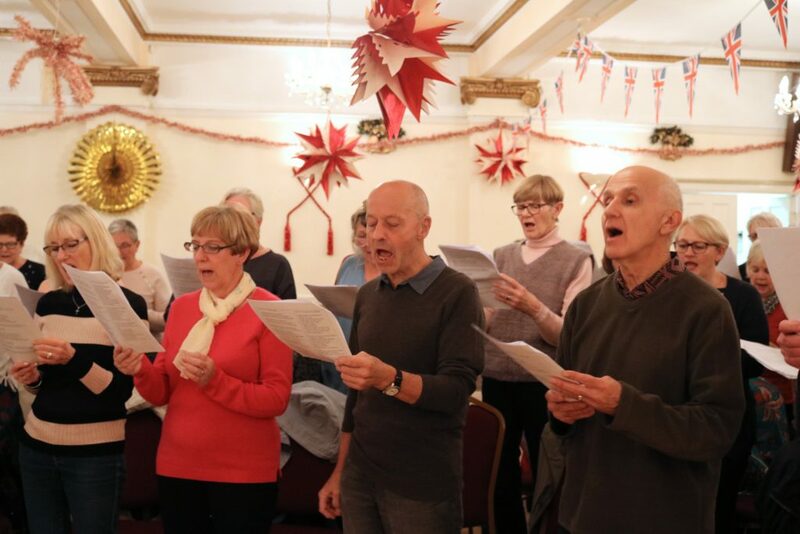 2018 is nearly done, but first, we must take a minute to revel in the excellence that was our final Singing Saturdays event of this year. 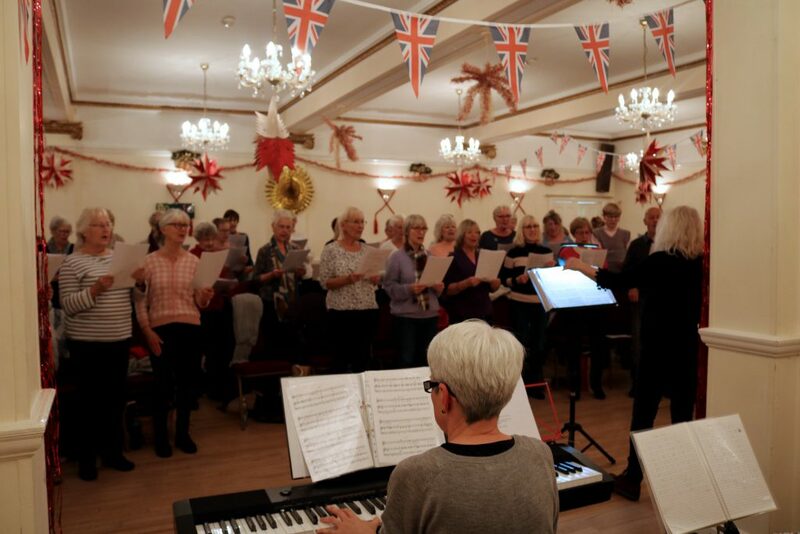 Our theme was “Music from the Movies”…this was the second showing of this particular theme, a popular choice among our singers it seems! We sang some big songs, lets just be honest, it was tiring, but…the bigger the song, the harder you all tried and it really paid off, you all sounded AMAZING! Thank you all for a FABULOUS day! 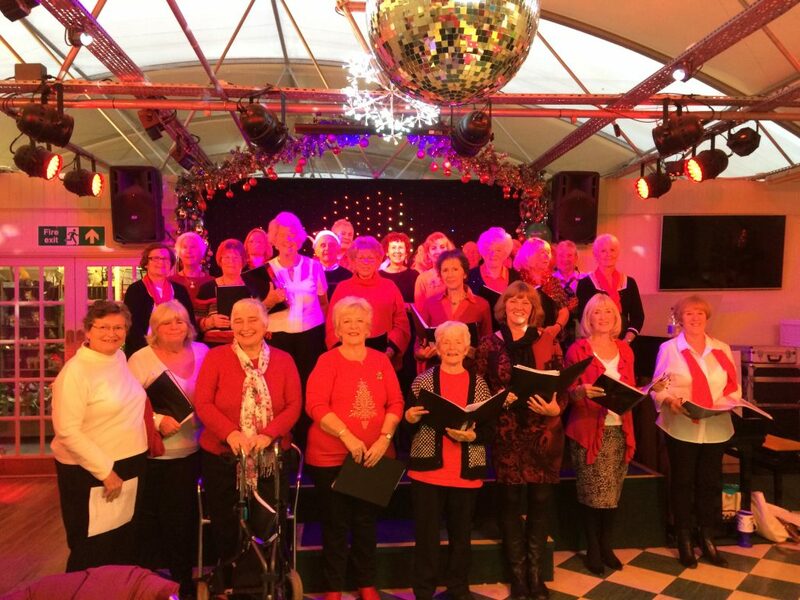 ‘Thank you to everyone from Just Sing Bognor who came to sing at Brick Kiln Nursery on Saturday 24th November, at the opening of the Christmas Grotto, raising money for Chestnut Tree House Children’s Hospice. 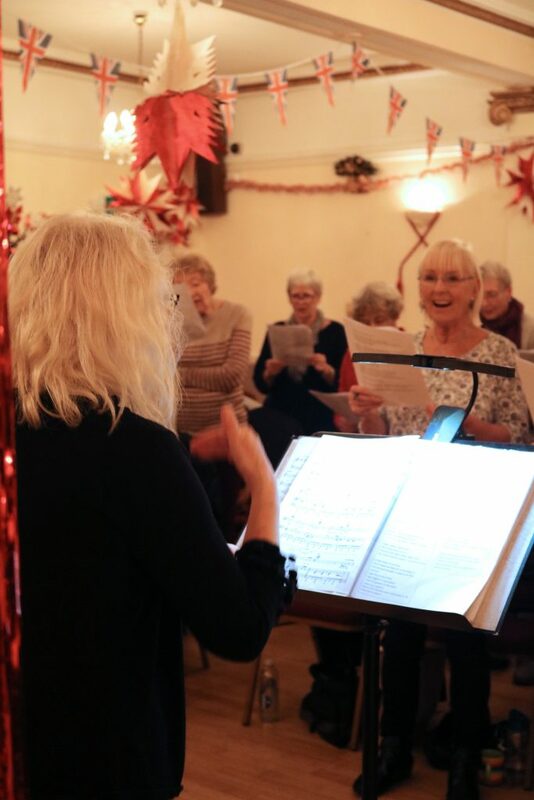 We had a fantastic time singing Christmas songs and getting into the Christmas spirit! The cafe was full and a good time was had by all!